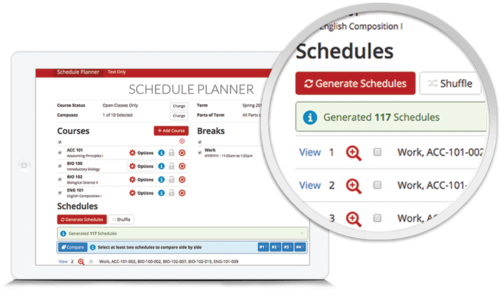 Introducing your new schedule planning tool and enrollment companion - Schedule Planner. You are a Cougar - and that means that you are more than just a student. You have classes, internships, exercise, student organization involvement, and other activities that are helping shape future opportunities. Right within your myUH Student Center now exists a powerful tool that will help you find the best classes at the times that work in your schedule - planning around work, lunch, study, and other important life events.